How is your July going? Have you went on a staycation yet, or are you still making your epic plans? 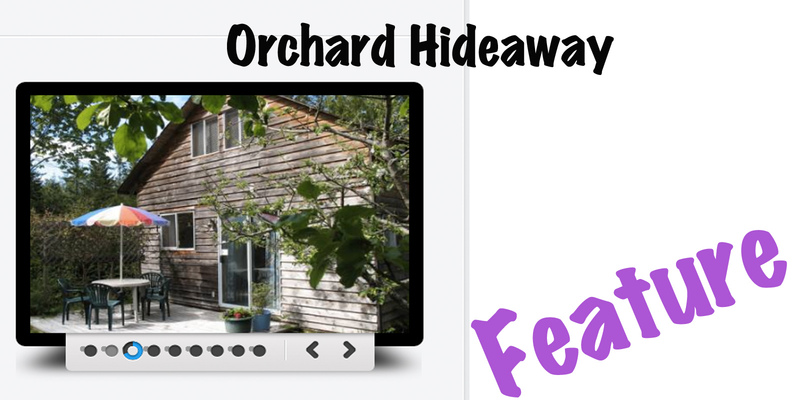 If you are planning on going to Hornby, I highly recommend staying at the Orchard Hideaway. It is run by a wonderful German grandma and her daughter. Its a peaceful place in a beautiful rural setting just a 5 minute drive away from all the fun Hornby activity has to offer, plus a 10 minute walk away from Grassy point beach-one of the best beaches to watch the sunset from. Or ask for direction to Hidden Beach and take a short stroll to a gravel and rock beach that you might just have all to yourself. I spend one week every summer on Hornby, and I stay on the same property as the Orchard Hideaway, in my own little vacation rental space. It’s peaceful and the atmosphere just makes you slow down and enjoy the moment you are in. I spend my time reading in the yard, out walking the many trails, or playing on both the sandy well known tourists beaches and the rocky more hidden locals beaches. There is even a nudist friend beach on Hornby, if you’ve ever wanted to go to one. Whether you want a lazy summer vacation or one full of exploration and adventure, Hornby is the place to go to get away and the Orchard Hideaway is the place to stay. You can find more information on the Orchard Hideaway here, or email them at countryretreat@gmail.com to book your relaxing week away. If you are looking for hidden accommodation gems in other locations you should try out Airbnb, I’ve heard great reviews about this site from friends over the last month. It’s easy to use, and a fun way to explore your area. You can get started with Airbnb here!